Every woman wants to have smooth and silky hair. Short or long, curly or straight—shiny hair always gives a good impression. The outer layer of healthy hair contains natural oil to keep it moist and shiny. When this layer is damaged, your hair will look dull, unhealthy and dry. 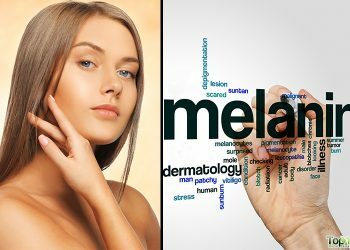 Some of the factors that contribute to dull hair are illness, nutritional deficiencies, use of harsh hair care products, not using a good conditioner, over exposure to sun, frequent use of hair dyes, age, excessive stress, high mineral content in the water, chlorine in swimming pools and use of heating tools. Soft and shiny hair takes a bit of effort. Proper hair care is the only way for both men and women to get shiny, silky and smooth hair. Most of us use numerous branded conditioners, shampoos and serums to add a beautiful shine to our hair. But over time, these products can do more harm than good. 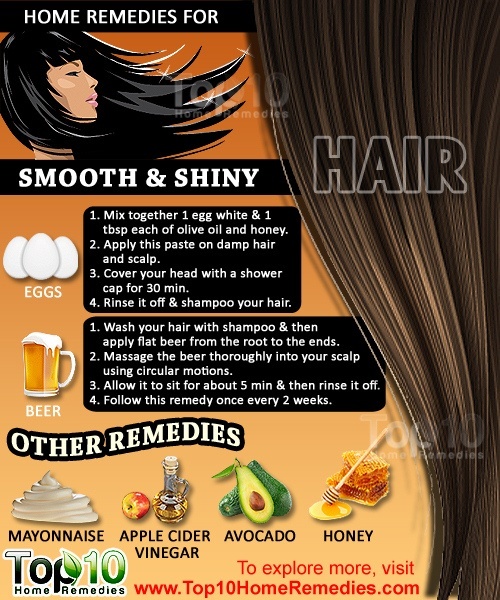 Instead of using commercial products, you can try some simple and natural remedies to make hair smooth and shiny. 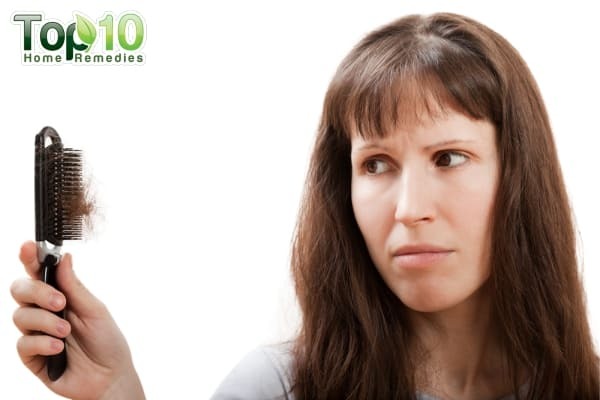 Here are the top 10 home remedies for shiny hair. Eggs are perhaps one of the best ingredients to provide nourishment and shine to your hair in minutes. Being a good source of protein, fatty acids and lecithin, eggs help repair damaged and dull hair by adding moisture and shine. 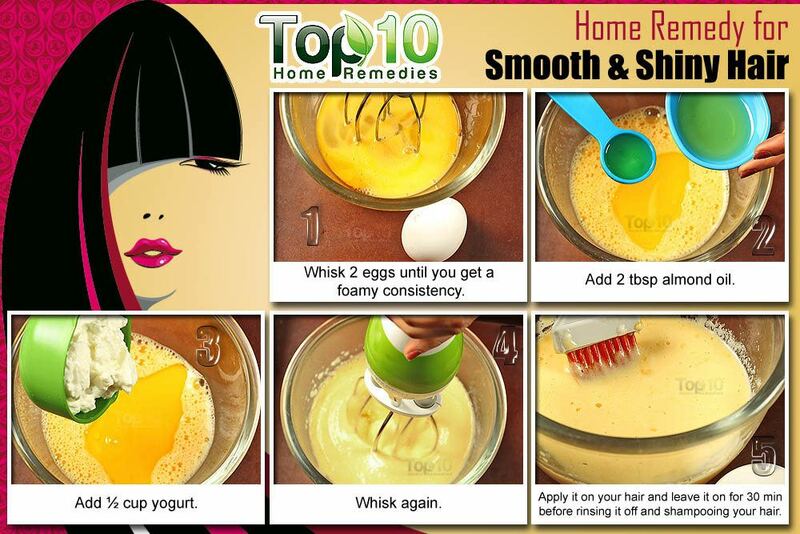 Eggs also help make your hair strands strong and thick. Mix one egg white and one tablespoon each of olive oil and honey until you get a smooth paste. Apply this paste on damp hair and scalp. Cover your head with a shower cap for about 30 minutes. Then wash your hair with a mild shampoo and cool water. Beat two eggs until you get a foamy texture. 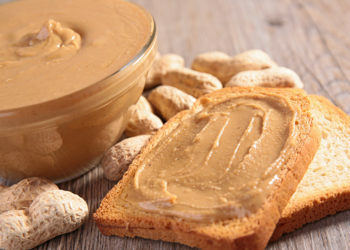 Mix in two tablespoons of almond oil and one-half cup of yogurt. Apply this mixture on your hair and scalp. Cover with a shower cap for 30 minutes and then shampoo your hair with cool water. Follow either of these egg treatments once a week to get soft and shiny hair. Note: Never rinse your hair with hot water after using an egg mask. Hot water will clot the egg and it will be very difficult to wash it out of your hair. Beer works as an excellent hair tonic. The proteins (hops and malt) in beer help repair damaged hair cuticles and provide nourishment to hair follicles. This in turn adds luster and shine to your hair. Wash your hair with shampoo and then apply flat beer from the root to the ends. Massage the beer thoroughly into your scalp using circular motions. Allow it to sit for about five minutes and then rinse it off. Follow this remedy once every two weeks. To get shiny hair, it is important to provide nourishment by applying oil to your hair regularly. Coconut oil (organic and unrefined) is one of the best options. It helps restore moisture to dry and damaged hair, in turn making it shiny and healthy. Apply warm coconut oil on your hair, from the root to the ends. Massage for a few minutes and then wrap your hair in a shower cap or towel for at least 30 minutes. Rinse your hair with water, then shampoo and condition like normal. Another option is to add a few curry leaves to two tablespoons of coconut oil. Heat it until warm. When cool, massage the oil gently onto the scalp and hair. Cover with a warm towel for 30 minutes and then wash with a mild shampoo. Follow either of these remedies once or twice a week, depending on your hair condition. You can also use olive oil, castor oil, or almond oil and follow the same process. 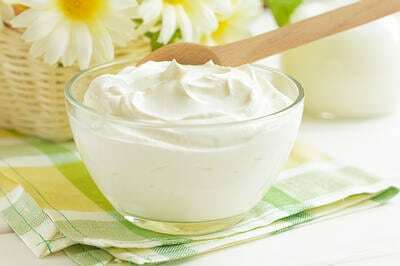 Mayonnaise has amino acids, protein and antioxidants that will make your hair strong, soft, healthy and shiny. Use one-half to one cup of full-fat mayonnaise, as needed for your hair length. Apply it on freshly washed, damp hair. Cover your hair with a shower cap for at least 30 minutes. Thoroughly wash your hair using cold water and a mild shampoo. Repeat this remedy on a weekly basis to enjoy hydrated and shiny hair. Apple cider vinegar is a fabulous hair conditioner that can make your hair soft, shiny and moisturized. It also helps remove built-up residue that makes your hair look dull and lifeless. 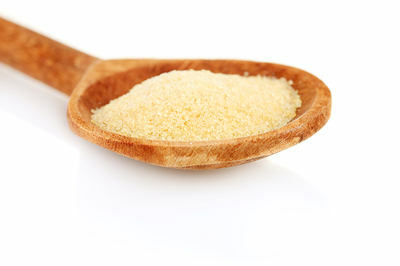 Plus, it can help treat dandruff, itchy scalp and frizzy hair. Mix together equal parts of apple cider vinegar and water. After shampooing, pour the mixture into your hair and massage it onto your scalp. Let it sit for a few minutes before rinsing thoroughly with cold water. Alternatively, mix two teaspoons of apple cider vinegar and the juice of one lemon in one cup of water. Use this mixture as a final hair rinse after shampooing. Use these remedies only once a week. Avocado contains nutrients that will deeply moisturize and nourish your hair. This in turn will make your hair smooth and shiny. Avocado is also extremely good for dry and damaged hair. Mix one mashed ripe avocado with two tablespoons of extra-virgin olive oil. Apply this mixture on damp hair, from the roots to the ends. Cover with a shower cap for 30 minutes. Finally, rinse and shampoo your hair as usual. You can also mash one ripe avocado and one ripe banana together. Mix in one-half tablespoon of almond oil. Massage this paste onto your scalp and spread it all over your hair. Cover your head with a shower cap for 30 minutes or more. Rinse thoroughly with lukewarm water and then shampoo your hair. Follow either of these remedies once or twice a week, depending on the condition of your hair. 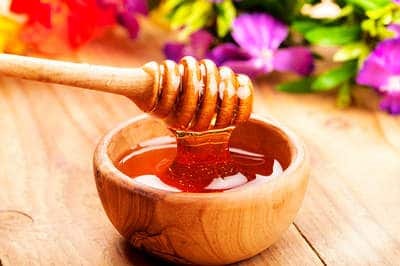 Honey is another effective home remedy for shiny hair. It is a natural humectant that draws in and retains moisture in your hair. This helps make your hair soft and shiny. Mix two tablespoons of honey in two cups of warm water. Put the mixture in a spray bottle. After shampooing, spray this solution on your hair. Slowly massage it onto your scalp for five minutes and leave it on for 15 minutes. Rinse it out with warm water. Use this treatment once a week. You can even mix some honey with your regular hair conditioner once or twice a week. 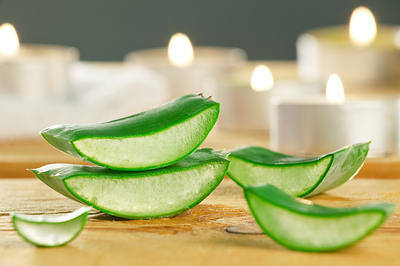 Aloe vera gel is good for your hair due to its moisturizing property. It also has antioxidants, vitamins and other compounds that support healthy hair. Plus, aloe vera gel can reduce dandruff and combat frizz. Prepare a paste with four tablespoons of aloe vera gel, two tablespoons of coconut oil and three tablespoons of yogurt. Apply this paste on damp hair and leave it on for about 30 minutes. Rinse it out with lukewarm water. Alternatively, grind a few hibiscus flowers to make a thick paste. Mix in one-half cup of aloe vera gel and one teaspoon of olive oil. Apply the mixture on your hair and leave it on for 20 to 30 minutes. Wash your hair as usual. Use either of these remedies once or twice a week. Yogurt works as a deep conditioner and hence it helps make your hair soft, smooth and shiny. Plus, it has natural antibacterial and antifungal properties due to its high lactic acid content that helps to keep your scalp clean and free from infections. Brush out your hair well with a wide-tooth comb. Spread some plain yogurt all over your hair. Cover your hair with a shower cap and leave it on for 30 minutes. Rinse it out with lukewarm water and then shampoo and condition your hair as usual. Use this hair treatment once a week. Gelatin can also make your hair smooth, soft and shiny. It has hydrolyzed protein that helps treat damaged hair. Plus, it adds silky smoothness to your hair and makes it extra shiny. Stir one tablespoon of gelatin in one cup of warm water until it dissolves completely. Mix in one teaspoon of apple cider vinegar and a few drops of lavender essential oil. Apply the mixture on your hair and scalp. Follow this remedy once a week. Look closely at the labels of your hair care products before you purchase and use them. Try to use hair care products with natural and organic ingredients. 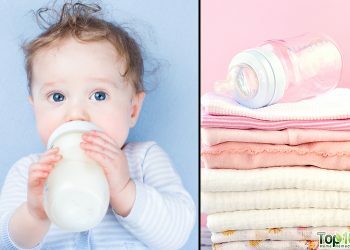 Avoid non-organic styling chemicals as much as possible. Avoid too many sessions with the straightener. Be gentle with your hair while brushing or combing. Avoid brushing wet hair as it causes damage. Let your hair dry naturally after washing. Do not shampoo too often. It can dry out your hair. Condition your hair regularly to nourish, moisturize and protect it from splitting. Trim off split ends to prevent them from spreading up the hair strands. Don’t overexpose your hair to sun, as it will dry it out. 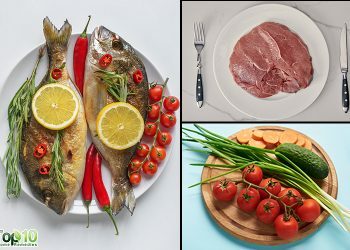 Eat a healthy diet and drink plenty of water. I just go full throttle and use avocado, milk, egg, mayo, garlic, cinnamon A.C.V., & natural oils at least once a week. I also keep my hair in braids even while washing and conditioning. I use peppermint and or Black soap as my designated shampoo. Den apply it on ur hair and leave for abt 30 mins..
And guyz believe me , your hair will seriously turn glossy,silky,less hairfall .. I live this sooo much and do try it ! Damaged & dry hair. Looking for something easy & affordable other than all the expensive hair stuff out there. I have read many of the suggestions & feedback on what people have tried. But which one is really the one that has worked for most people? Yes dear I must try eggs white with honey. But what’s measure tell me… Suffering dry damage hairs…. M trying olive oil with egg white lets see how it will work.. This is my second time.. Who else are trying this same ?? Someone suggested that using lemon juice mask for hair lightening is good. What if the lemon is fermented, does it then do damage? Am vera i jux started with two egg yolks n two table spoon of olive oil.